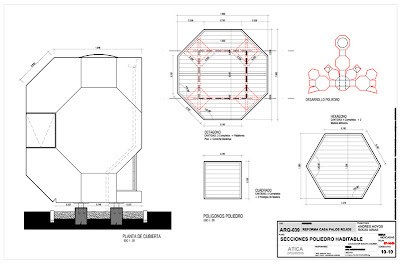 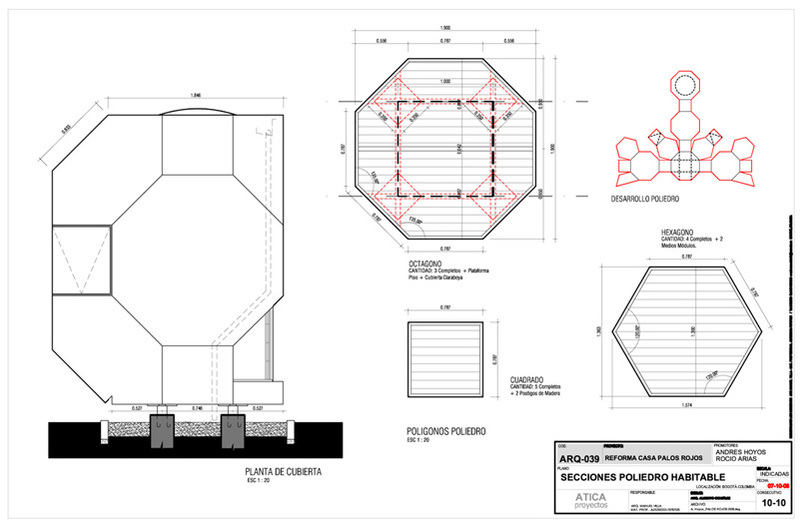 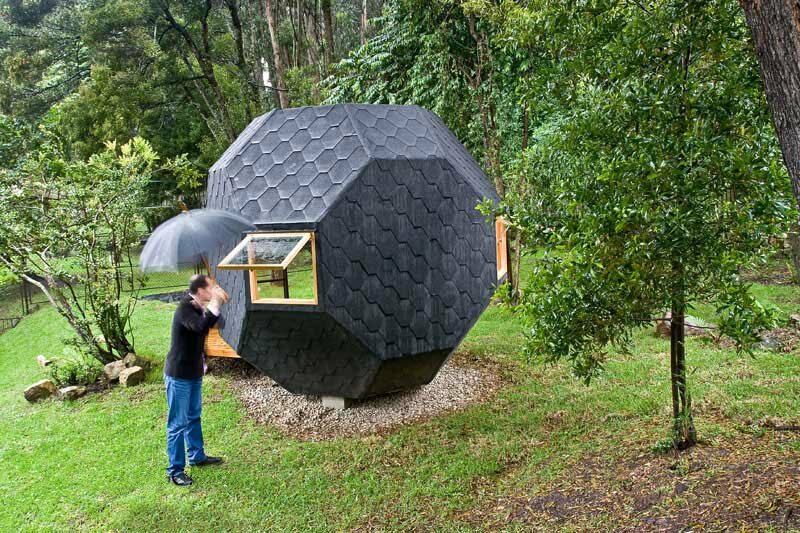 If It's Hip, It's Here (Archives): If You're Looking For Me, I'll be Out Back In My Polyhedron. If You're Looking For Me, I'll be Out Back In My Polyhedron. 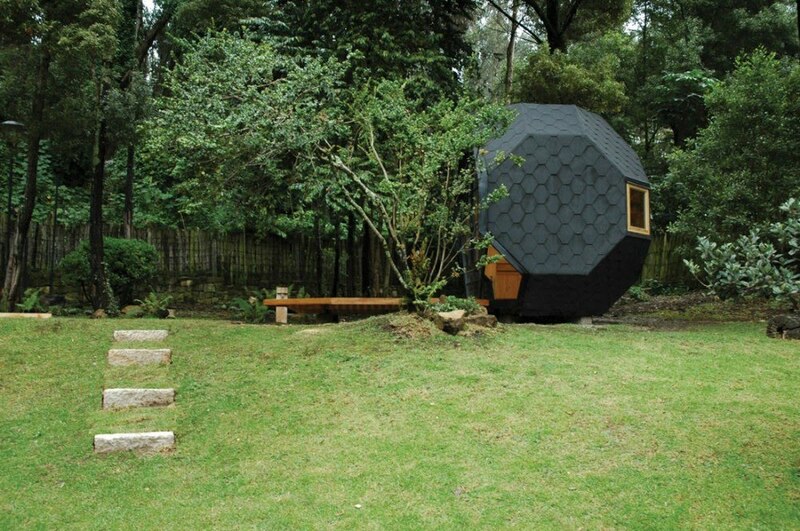 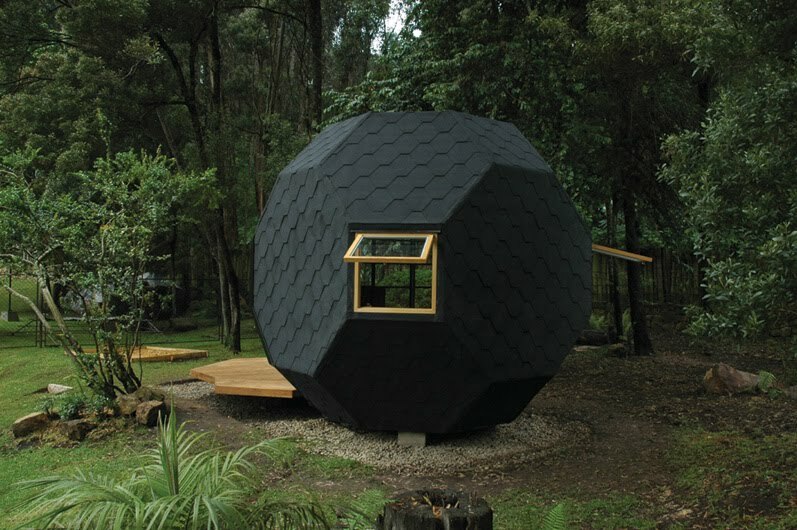 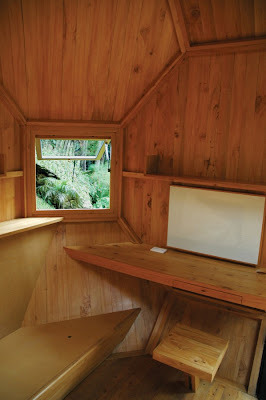 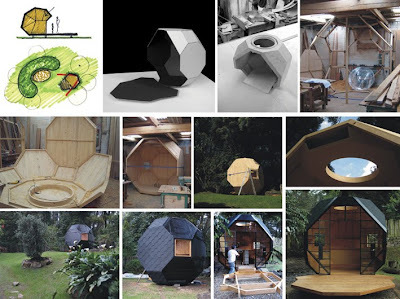 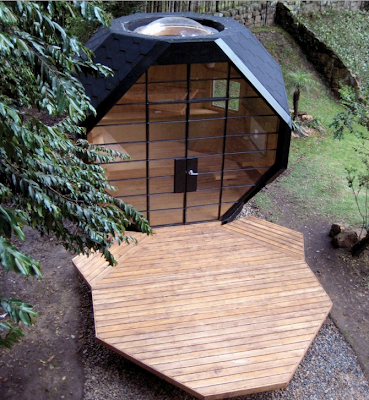 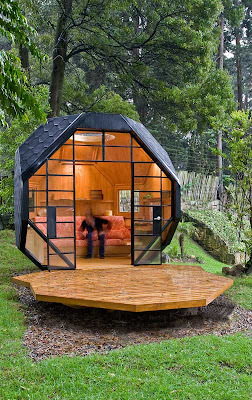 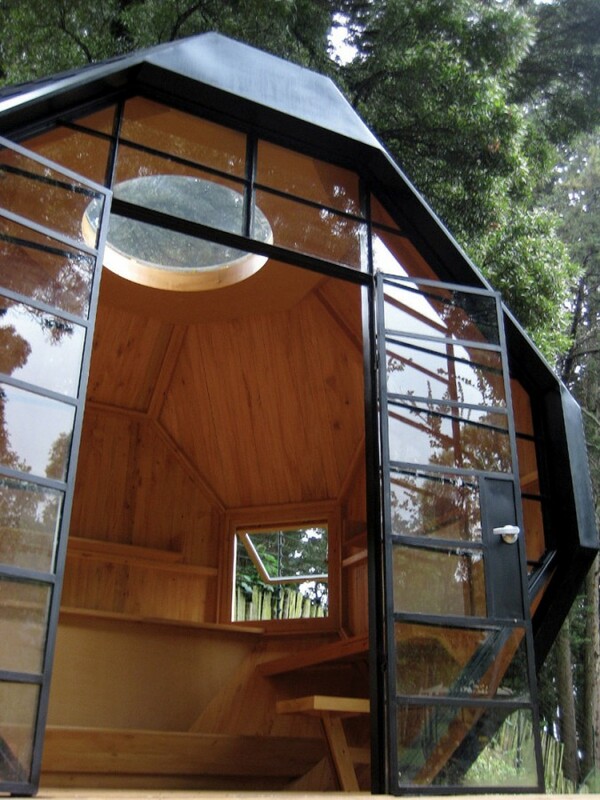 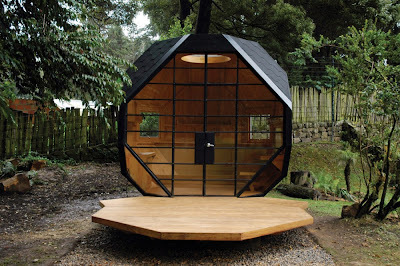 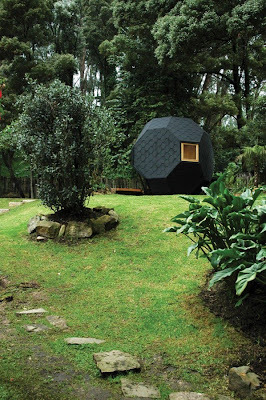 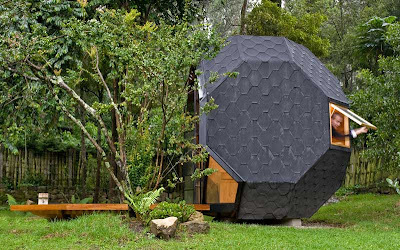 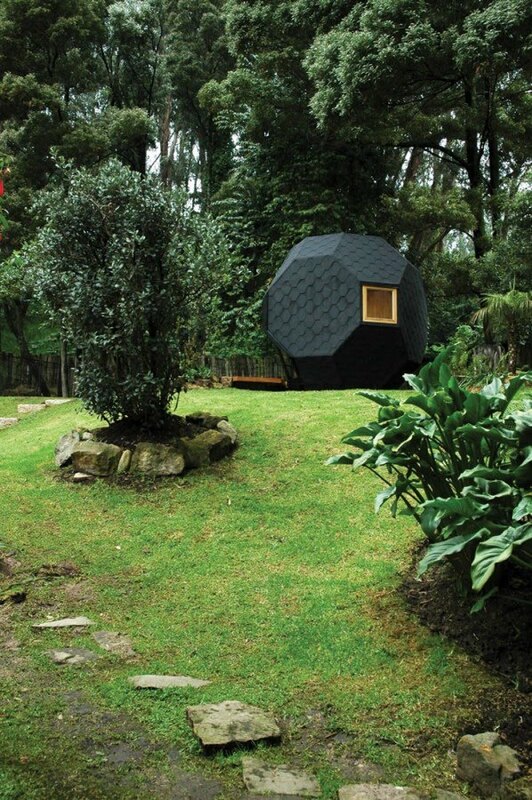 This cool 7.5 square meter garden or office pod was designed and built in 2009 by architect Manuel Villa with the help of architect Alberto González, as a project and resides in the backyard of a family home in Bogota, Columbia. 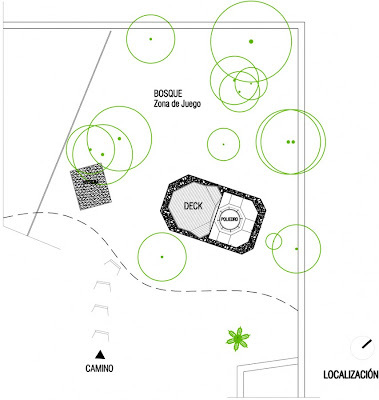 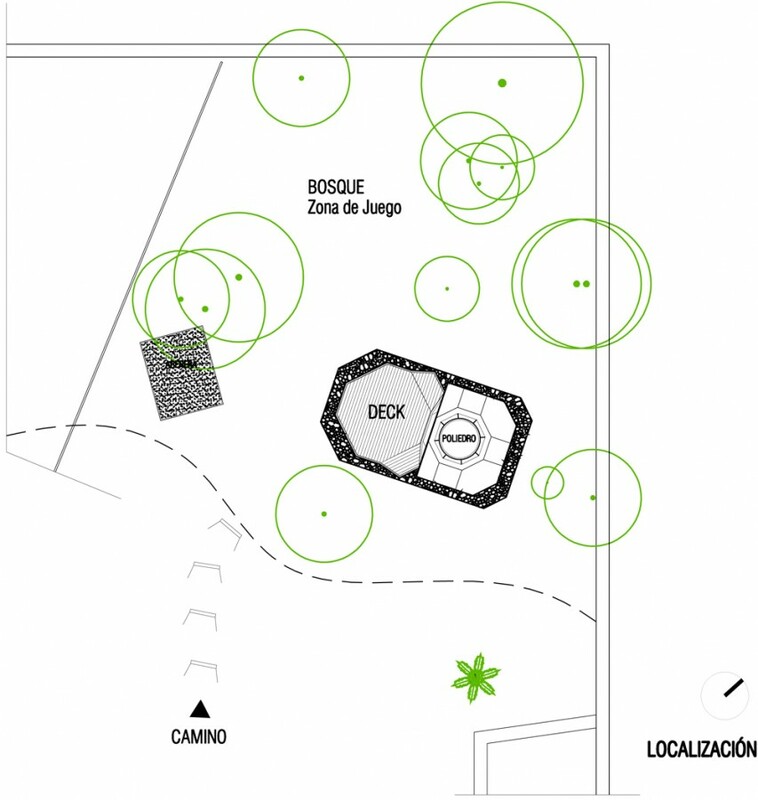 The surrounding landscaping was designed by Ana María Largacha. 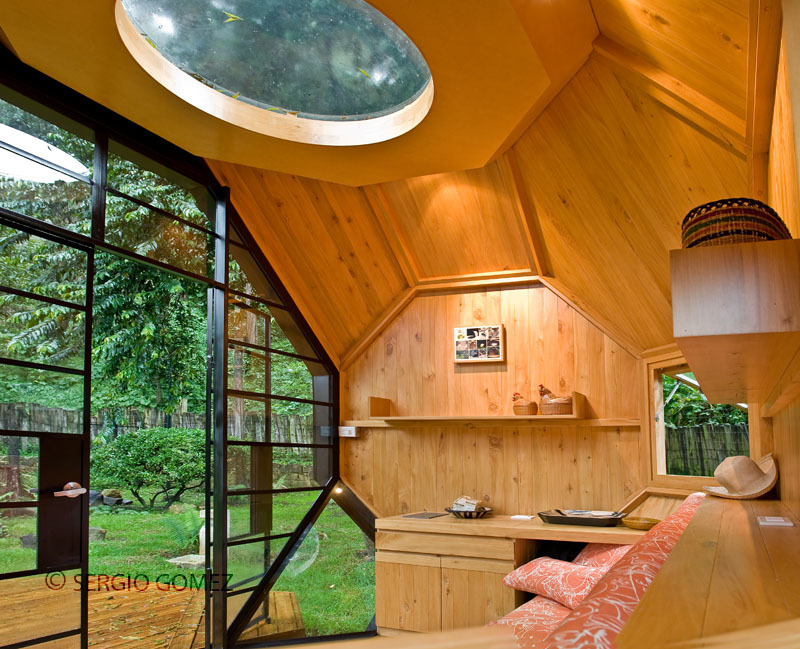 It's the perfect little habitable retreat for children or adults. 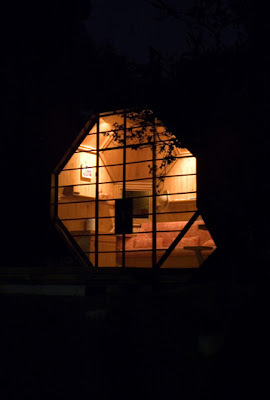 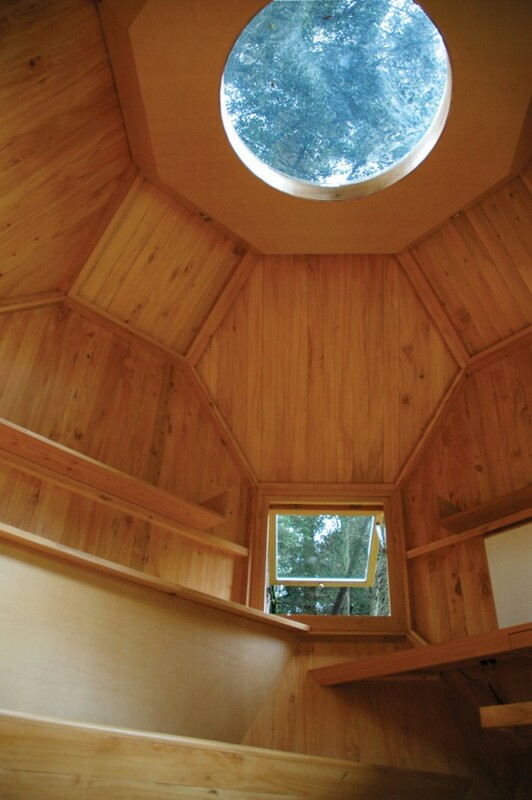 Polyhedron-shaped, the interior is built of pine wood and the structure is complete with a front deck made of teak. 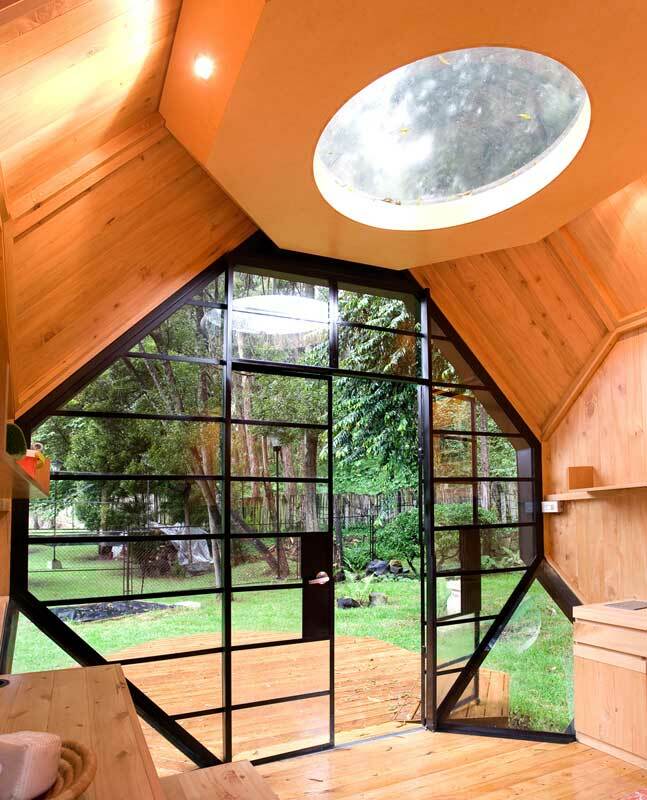 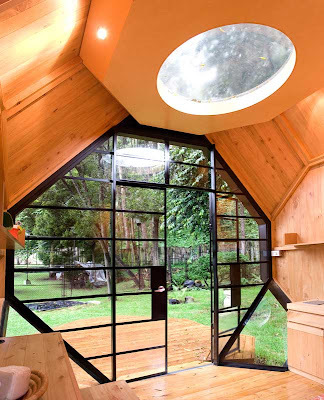 Windows, glass doors and a bubble skylight bring in the natural light. 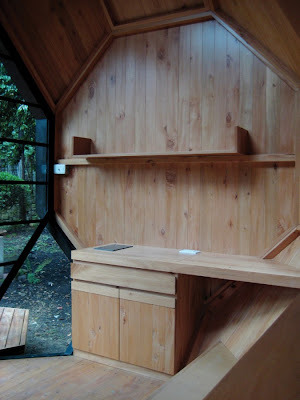 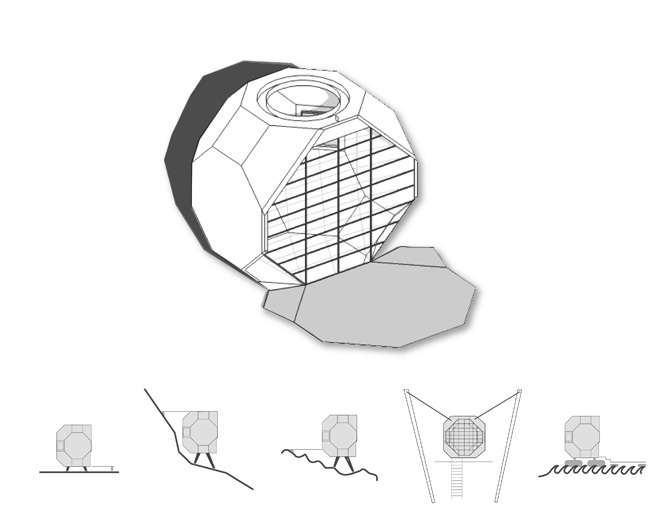 The interior of the polyhedron features a built-in banquet, desk and stool, cupboards and shelving. 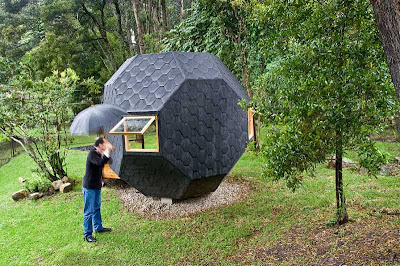 Dead Animals Get Decorated By Sandra Musy. 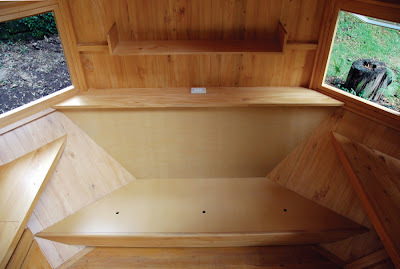 Rest On Breasts. The Velvet Bikini Cushion. 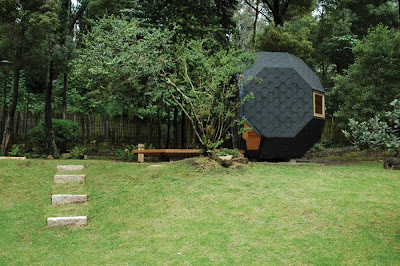 Quiltsrÿche. 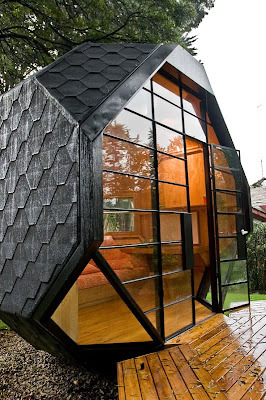 Edgy Quilts By Boo Davis. Cable Tie Jewelry By Ambre France. 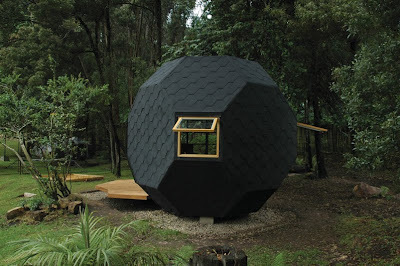 Seeing Skulls. James Hopkins' Vanitas.